The view from the terrace is unforgettable. That alone made my stay. Location was close to the town of Benitses. 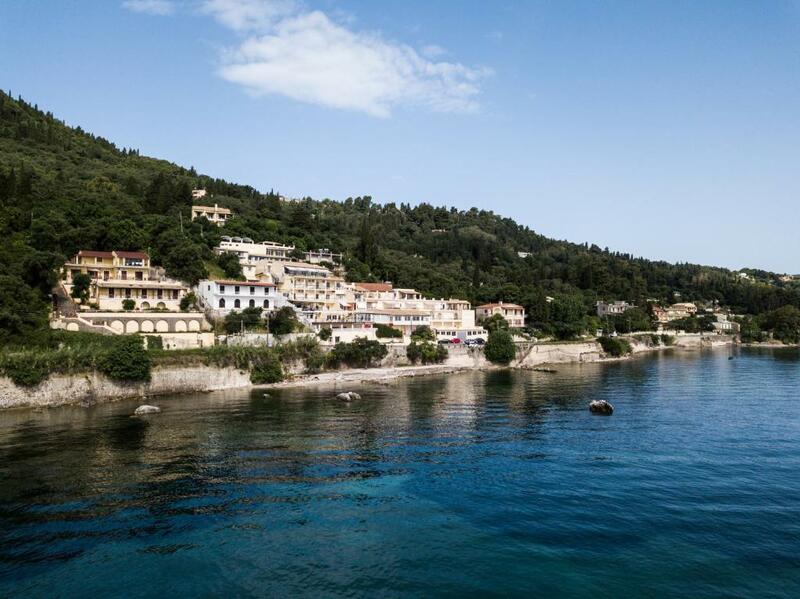 The apartments are perched on a hillside right in front of the sea and the top floor has especially gorgeous views. The furnishings are very basic and if you plan to cook, the kitchen has limited utensils. A coffee maker would have been nice since the apartments do not have the breakfast included. The pool area has vast views of the sea but the bar at the top was closed the whole time we were there. No pool towels either. The beds are rock hard!!! I know that through out Greece that’s mostly normal but the beds here seemed especially hard. Did not have a good night rest the whole time we were there. The staff is friendly and eager to help even with the limited English. Our maid Ana took care of our apartments and did a wonderful job. Thank you Ana! Everything was great. From the warm welcome of Dimitris to the spacious enough room for a 6-member family, very quiet and with a magnificent view of the huge terrace. Very clean, and Anna's (maid) services were impeccable. The apartment was air-conditioned - it was not necessary to use it - the room temperature was optimal. And the breakfast (coffee, tea, milk, orange juice, yogurt, cereals, butter, jam, cheese, ham, eggs, fresh bread, toast, cake) was delicious and more than enough. The view from the pool is breathtaking especially at the sunrise. The room also has a nice balcony and sea view. The owner was very friendly and explained to us how to see everything on the island. We enjoyed our stay. Not far from the hotel about 5-7 min walk there is a nice equipped beach and it was not too overcrowded in August which was a very big advantage for us. There is also a smaller beach just in front of the hotel. Customer service is second to none. The owners are genuinely lovely and helpful. Wonderful view from huge balcony. The owner was very friendly and helpful. The view amazing and the location is as god as it can be if you have a car. The apartment was really comfortable and super-clean!The staff is nice and friendly! Nice clean pool. Near to the sea.Really exiting view!!! Lock in a great price for Litharia Apartments – rated 8.1 by recent guests! One of our top picks in Benitses.Located just 30 feet from the sea, in the area of Benitses, Litharia Apartments offers accommodations with free Wi-Fi and views of the Ionian Sea. It also includes a swimming pool and a snack bar. The air-conditioned Litharia studios and apartments feature a private balcony. They all include a kitchenette with refrigerator, a TV and a private bathroom with shower. 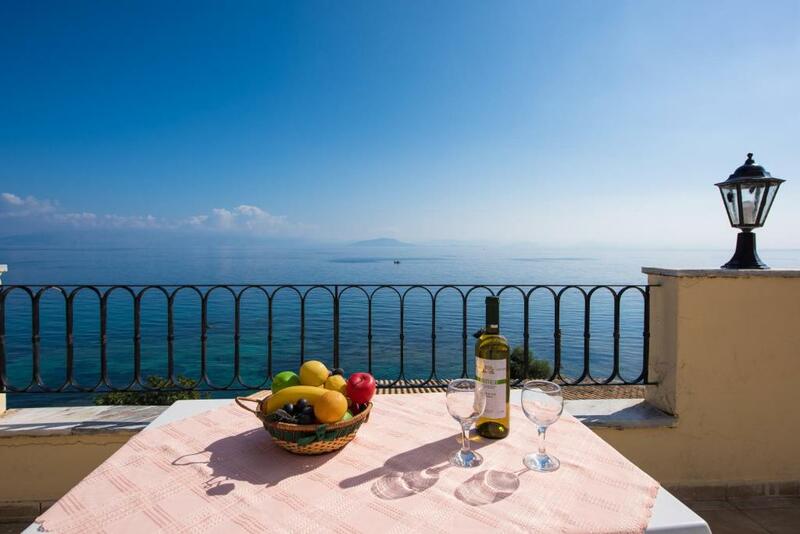 Guests can have a snack or a drink by the pool boasting panoramic sea views. Sun beds and umbrellas are also provided free of charge. The main town and airport of Corfu are 5 mi away from Litharia. The former palace of Achilleion is at 0.6 mi. Free private parking is available. When would you like to stay at Litharia Apartments? 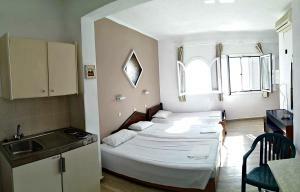 2-room air-conditioned apartment with kitchenette, TV and a sea-view balcony. 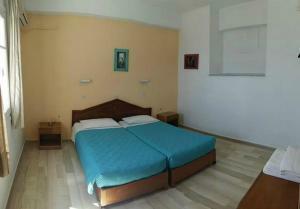 Air-conditioned apartment with kitchenette, TV and a sea-view balcony. Some apartments have 2 separate rooms, 2 air-conditioning units and 2 TVs, while others have 2 bathrooms. This apartment has a electric kettle, air conditioning and balcony. House Rules Litharia Apartments takes special requests – add in the next step! Litharia Apartments accepts these cards and reserves the right to temporarily hold an amount prior to arrival. WI-FI connection, location requires having a car, you can make it without a car as well but it's not convinient to walk because of the cars passing by all the time. Great base for touring, however, it's A little isolated if you don't have a car. The bathroom was spartan and in need of renovation. Simple apartments but clean. Rush road in front of the rooms, between the sea and apartments. Far from the Benitses centre, you have to take bus or walk app. 1 km. 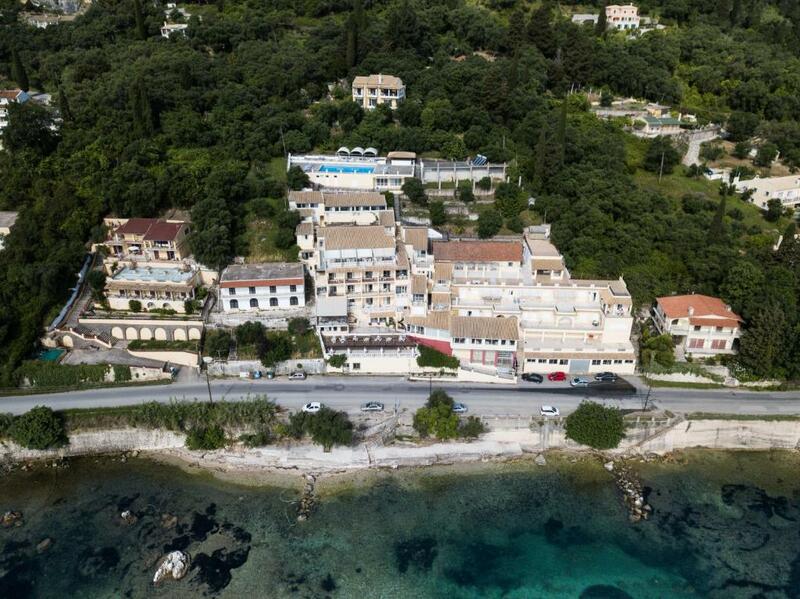 Apartment near Corfu airport, just need to take bus no.6 from Green line station, which is about 10 minutes walk from the airport and you will get off the bus in front of Hotel el greco, which is the same place as Litharia app. Great view from the balcony, facing to the sea so you can admire the sun rise every morning. Close to Achilion castle, I really recommend to stay there for 1-2 nights. The building is a little old but no worries, renovation plans are in place and some works have already started. All the apartments have an amazing sea view. The host was very friendly and they made us feel at home. We had a very nice stay there. they should have an elevator, too many steps, not easy to lift the luggage to the up floor. There's a walk to the main town and beach; we enjoyed this, but you would need a car if you have young children as initially there's no pavement. The rooms were spacious and very clean, the shower worked well, always immediate hot water, enough storage space and hangers, bedding and towels replaced daily. Continental breakfast was good and there were thoughtful extras. Katherina gave us lots of information on local attractions, We really enjoyed was the poolside unbelievable views and setting. As long as you don't mind walking to the top of the building it's outstanding.